The Hoops Brewing Company was established in 2015 by owner Dave Hoops. After 25 years as a ground-breaking craft brewer in 3 states, Hoops knew it was time to realize his dream: Hoops Brewing in Duluth, MN. Finding the right space was a critical key to achieving this, and the stars aligned with a chance meeting with the owners of the historic Marshall Wells Building, built in 1889, at 325 S Lake Avenue in Duluth’s Canal Park. The owners were looking for a local business to take over the large 10,000 square foot space. It was a perfect fit for Hoops’ vision, not only for the brewery and beer hall but also the location very near the beloved Lake Superior – for its beauty and for its pristine water for the beer. Demolition and reconstruction began in September of 2016 with an amazing team of local professionals. The brewhouse was contracted September, 2016 to WM Sprinkman, Co – an industry standard for brewhouse development – out of Waukesha, WI. This would be Sprinkman’s very first 15 barrel system, and also their first brewhouse delivered into Minnesota. Hoops and the brewers commissioned the brewery on May 10, 2017 with our No. 5050 Hefeweizen. Hoops Brewing opened it’s doors to the public on June 27, 2017. Read more about Dave Hoops. Making it happen many pints at a time. 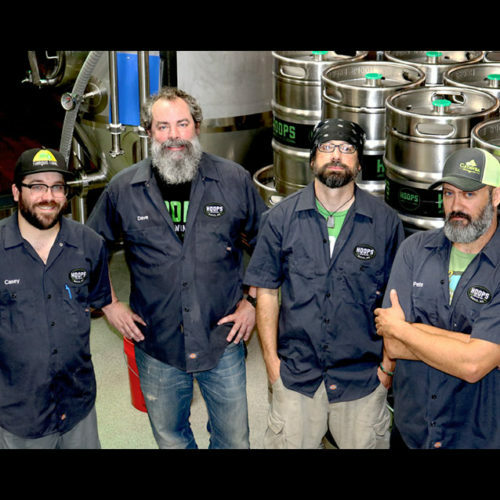 Along, with Hoops, Brewers Casey Tatro, Shad Baggenstoss and Pete Bystrowski run the brewing operations at Hoops Brewing. Both Baggenstoss and Tatro worked with Hoops at Fitger’s for several years. 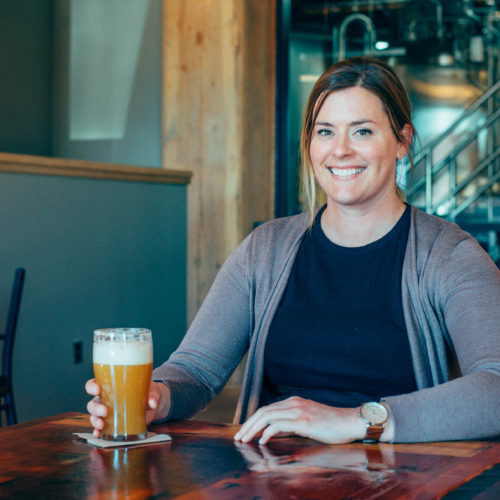 Jen Rossmann, General Manager & Beer Enthusiast. Jen grew up in North Dakota and has lived in Oregon, Alaska, Duluth and now lives in Northwestern Wisconsin. Jen comes to Hoops Brewing from the famous Delta Diner in WI. We could not be more proud or humbled by our awesome staff. 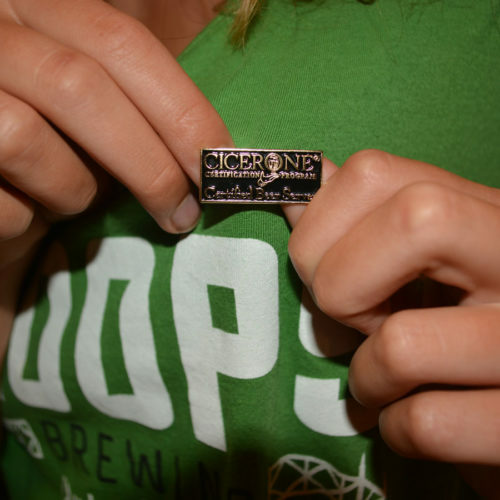 All of our Staff are Cicerone certified. We know our beer!